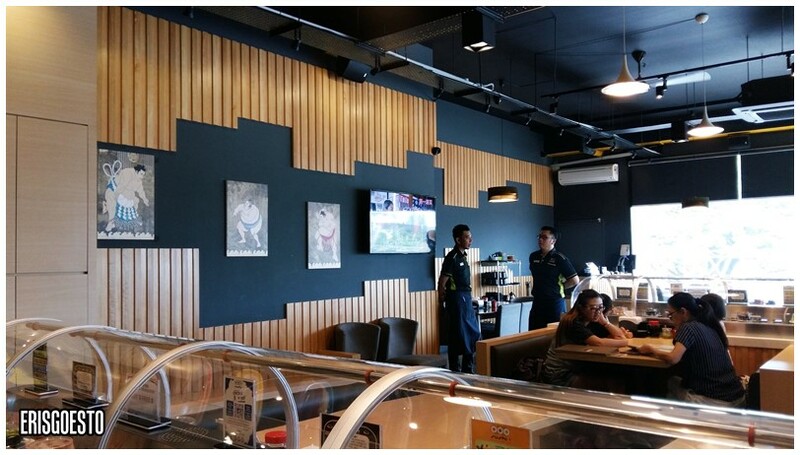 I went to Bandar Puchong Jaya last week coz I wanted to blog/grab coffee after lunch. After a lot of walking around, I finally decided on trying a place called Sushi +: Rotary Sushi Bar. 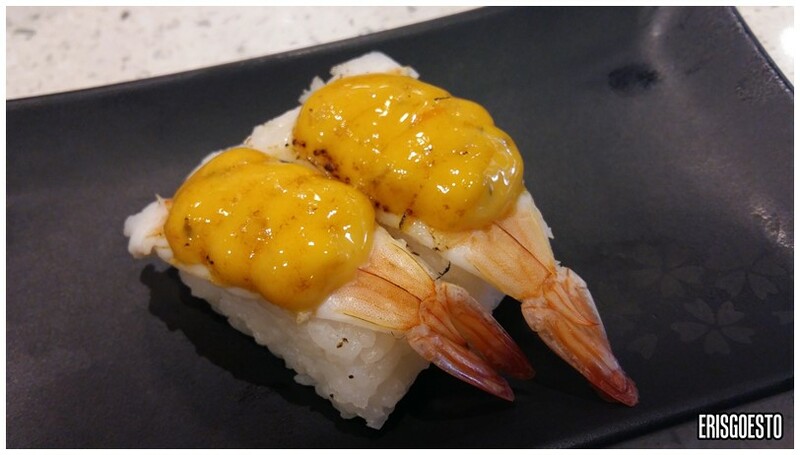 As its name suggests, the restaurant serves kaiten style sushi (items move around on a conveyor belt) within a modern and contemporary ambience. Located on the second floor, the interior was modern and chic, with black ceilings/walls paired with wooden furniture and posters of sumos lining the walls. On the right was the semi-open kitchen area. 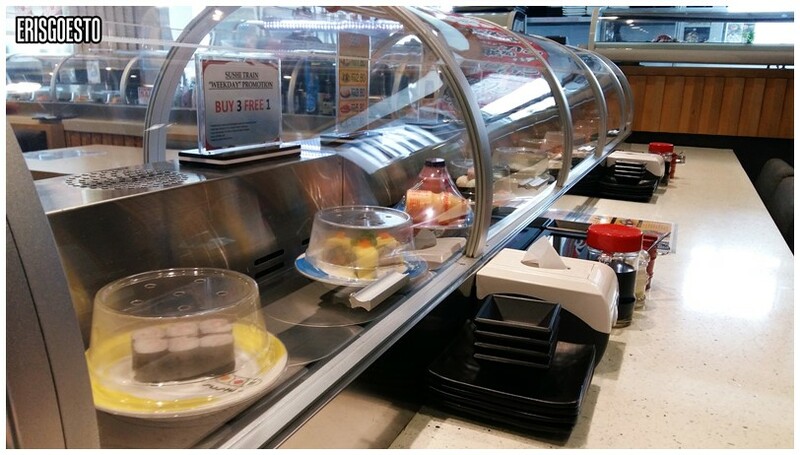 Unlike at the usual kaiten joints, they have this protective tube over the conveyor belt which guests have to open before they can reach for the sushis. Probably to discourage people from putting the covers of their plates back on lol. The selection on the belt wasn’t great. I got a few but I mostly ordered off the menu. To start: Cold appetiser of marinated jellyfish. I loved the sweetness/saltiness of the sauce, paired with the fragrance of sesame and just a hint of chili. 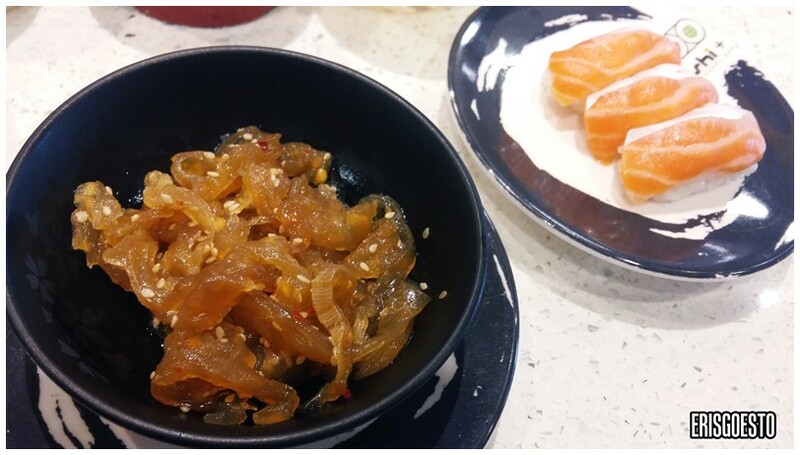 Jellyfish was fresh and had a nice and chewy texture. 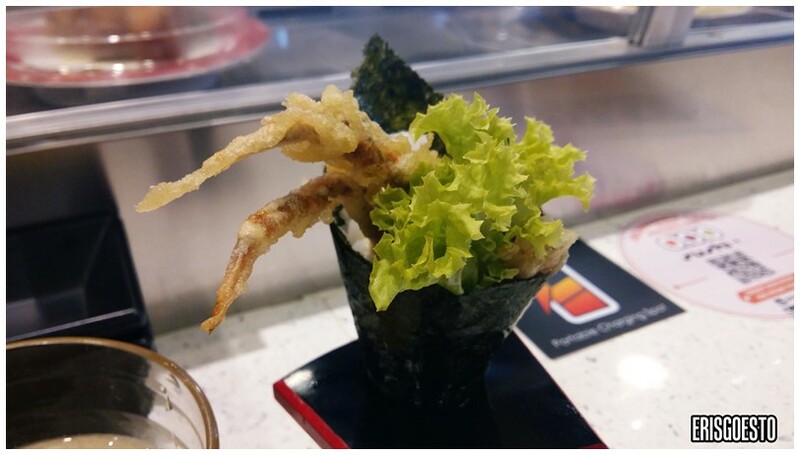 One of their bestsellers was the soft shell crab temaki. The portion of the crab was generous (some places give you like ONE leg lol) and it didn’t have that soggy taste from being left around too long. This felt like it was freshly fried with a crispy outer coating and soft, flaky meat on the inside. The greasiness was reduced by the lettuce leaf and slightly sourish Japanese rice ,brought together beautifully in a seaweed wrap. If you’re wondering what those white streaks on the salmon are, they’re fat. Usually fat is higher in either farmed or cold water salmon, but overall it’s really the freshness that affects the taste. These were fresh enough, thick cut and perfectly proportionate to the rice. Had the cheesy ebi (shrimp). The flavour of the cheese was good but it was a tad too salty. 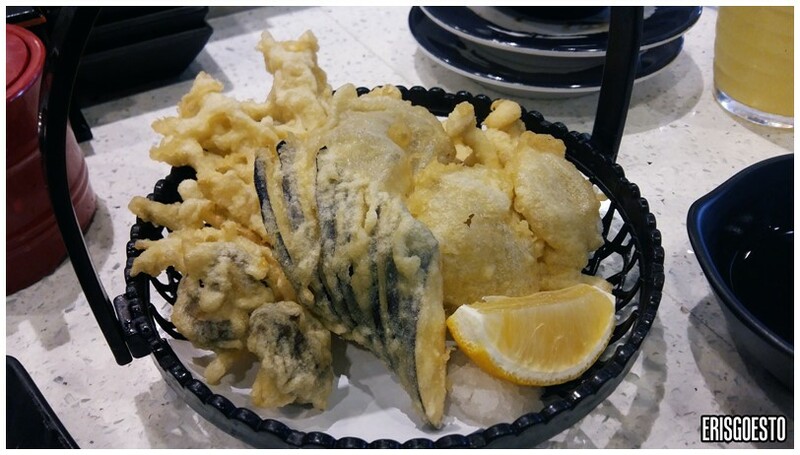 I was still craving something fried (typical Eris) so I ordered a basket of assorted fried mushrooms. The batter was thin but rather tasteless, and I accidentally squeezed too much lemon on it so the whole thing became sour lol. Most of the hires were non-locals, but service was really efficient and friendly. 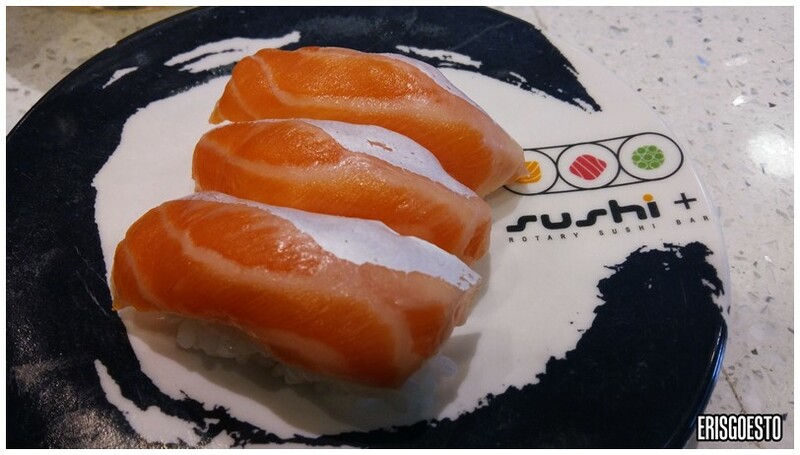 Prices are quite average, so expect to pay around RM8 for three pieces of salmon.